The only thought that takes over your mind during the winter months is how you are going to keep warm. A nice cup of coffee and several bites of high carb foods can do the trick. However, nothing beats a wood burning stove or fireplace – well, there are more advanced home heating systems but let’s go the cost-cutting route for now. We are talking about doing the hard work yourself using an ax to split wood. And why would you do that? For starters, you get to save on the heating bill, and of course, you get to shed some calories while you are it – who said you couldn’t keep fit during winter? 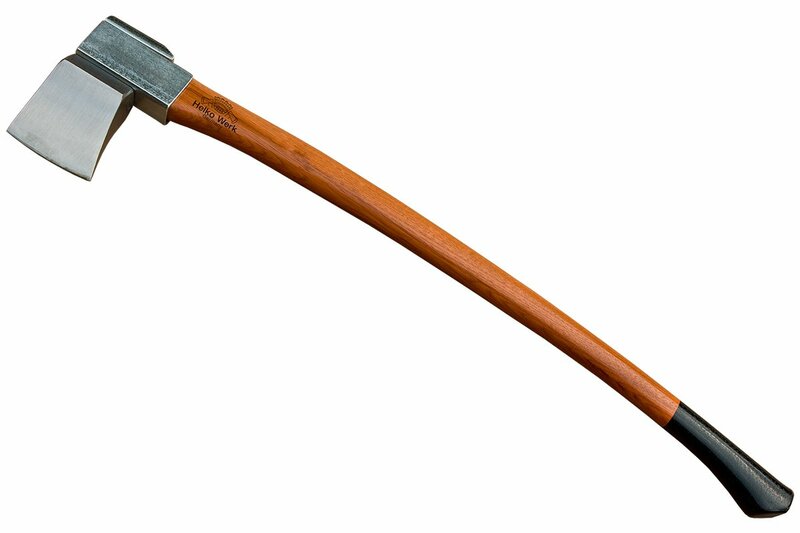 So as you might have guessed, in this article, we’re going to take a look at the best log splitting ax on the market today. Estwing Fireside Friend Axe - 14"
More than likely you have used an before. This little guy helps split wood into small pieces that you can throw into the fireplace as you enjoy the moment with your better half. But wait a minute, is that all an ax can do? – split wood? While the most fundamental purpose is to split wood through the grain, you can still use an ax to cut through the grain. In simpler terms, to fall trees. Yes, there is the chainsaw but why not go all macho and do it yourself? The most common type you will find on the market is the splitting axes. Their blade is wedge-shaped and is designed to cause faster splitting of wood. We are not saying you can’t use it to cut branches and fell trees, but it will be more hard work trying to work your way through the grain – they are kind of lightweight. Ah! Then there is the splitting maul, heavier and with a longer handle. This tool has a characteristic mallet-head style and a wedge-shaped blade on the opposite side. Splitting mauls are more heavy duty splitting axes. You can as well get these if you have some wood that needs an extra juice to split – you know, some types of hardwood are just hard! There are also felling axes whose primary role is to cut through trees and cut the branches. They are lighter, have a shorter handle and are pretty sharp. And of course, you cannot bring these along to your camping trips. There is a camp ax or hatchet for that purpose. Hatchets are lighter and more compact to carry around – they are so light that you just might be able to use them with one hand. It might sound like too much work using an ax to split firewood, but there are a number of associated benefits. What about cutting on your expenses? When you are out there splitting wood, you can reduce fuel expenses that will have gone into a chainsaw – if you have one. And if it’s winter, using your fireplace or stove would cut your heating bills significantly. Splitting wood is one of the simplest ways you can exercise and build some muscles. Maybe you are having been thinking of starting to exercise to get rid of the extra weight you have added over time. Using the best log splitting ax will not only be a good exercise that will work on various muscles on your body, but it will also help generate heat during the cold months. Purpose: we have seen that there are several types of axes you can get. You must first determine how you are going to use the tool the majority of the time. If your primary task is chopping some logs to throw into the stove for some heat, then a maul will do a decent job.Campers are better off with a hatchet since it is lightweight and portable. A splitting ax is appropriate for occasional splitting such as during the winter months to get adequate pieces to keep the fire and warmth going. Weight and length: This might sound strange, but a heavier ax head is better and more efficient than a light one. It has a better swing speed and leads to deeper cuts. Another interesting fact is that longer handles are better if your task will be splitting wood.Make sure the length is not excessive as it may make the ax unusable. The Design: the most common handle material is wood. Well, it is not bad as you can easily replace it if it breaks or becomes unusable. However, a composite material is better. It is stronger and durable – it can easily take overstrikes. 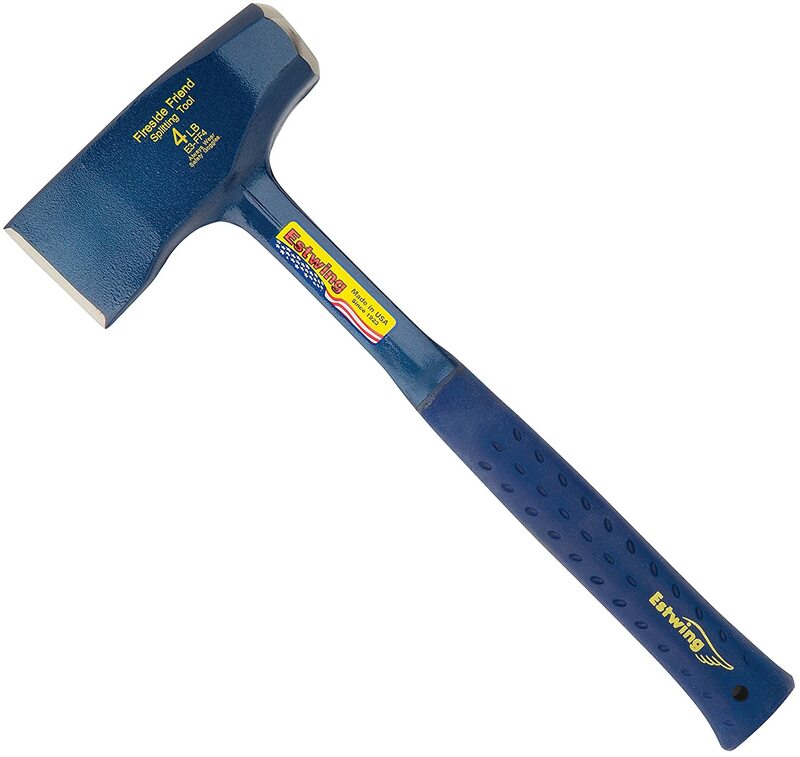 You are probably looking for an ax that is easy to use and durable – everybody does. This has a long handle to aid your swinging. The head is German carbon steel which has been proven to be better than other kinds of metals. For starters, it maintains the edge and is pretty durable. The long handle made from Switzerland has an ergonomic design making your swing very easy. This is another ax ergonomically designed to give your one-strike adequate power. This means more efficiency and less sweat – less energy. The ax has a perfected balance which makes the swings almost perfect – just like a baseball bat. The ax is made from hardened forged steel that will maintain its sharpness for longer. You will not need to keep running to sharpen so that you will complete the wood chopping task. It also has a FiberComp handle that is virtually hard to break. This is the second axe from Fiskars, and that should tell you something – of course, they are a company that makes quality axes. This ax is designed for splitting wood efficiently and with the less energy. It has a shock absorbing system that protects you from the striking shock that can be so hard to take. The insulation sleeve in the handle also ensures you get adequate protection from the striking shock. The main reason that most people don’t like using axes is the associated shock that comes from striking wood. This short axe comes with a shock reduction handle – quite convenient. To eliminate some of the problems associated with typical axes, this one is forged as a whole piece. This means that there is no friction produced as a result of loosehead. This ax comes with a top quality nylon sheath to protect the blade from the elements. The grip is made from genuine leather that makes it easy to handle. While this is best suited for woodworking, you can still use it to split wood. The head has long and straight cutting edge for stability and control when using. It has recess in the head for enhanced control. It’s during the winter months that you remember the fireplace in your home. However, you will need the best log splitting axe to get the right amount of wood to keep the fire burning. The best one should be easy to use, has a durable handle and maintains its sharpness. 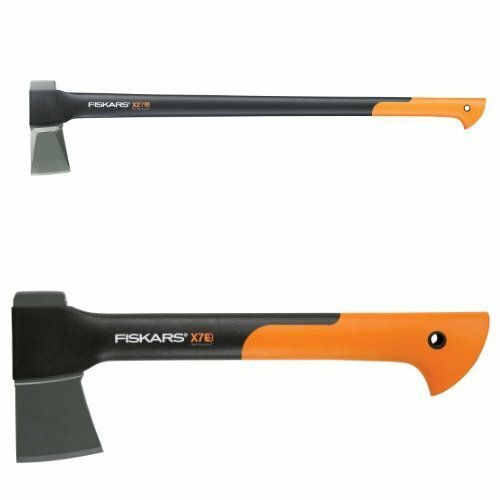 Our top choice from the above review is Fiskars X27 Super Splitting Ax. The axe is ergonomically designed making it easy to use. It also has a FiberComp handle that will not easily break under any shock or pressure. As a matter of fact, your winter months may turn out easier to take since you are equipped with the right tool to keep the fire burning.